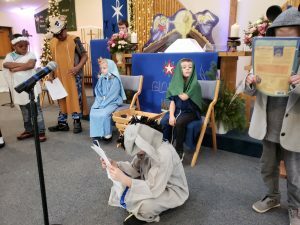 Scenes from our Christmas 2018 program! 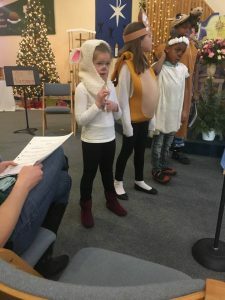 While you attend worship, your children can enjoy learning more about the Word of God in fun and creative ways. We currently have openings in all classrooms. Sunday School is not available during the summer (Memorial Day—Rally Day in September). Preschool and Kindergarten-aged children spend the entire class time in the preschool room. Questions? Contact Laurel Wright at 815-382-1082.